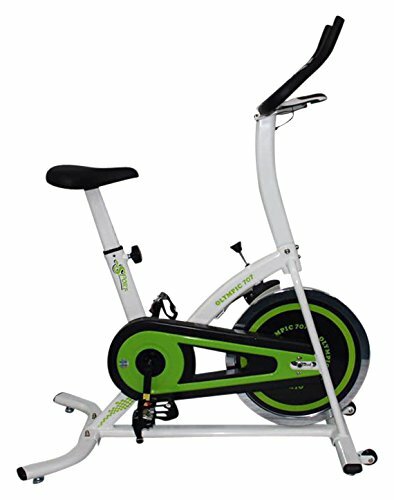 A stationary bicycle (also known as exercise bicycle, exercise bikes, spinning bike, spin bike, or exercycle) is a device with saddle, pedals, and some form of handlebars arranged as on a bicycle, but used as exercise equipment rather than transportation. 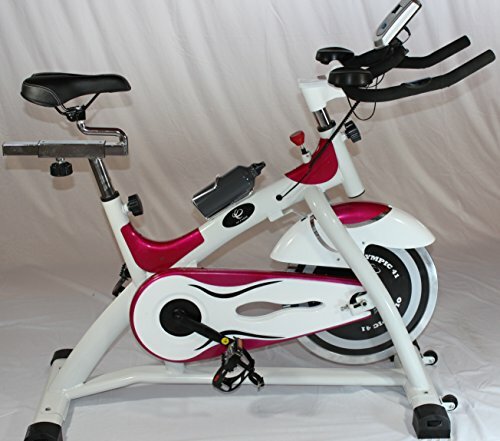 A stationary bicycle is usually a special-purpose exercise machine resembling a bicycle without true wheels, but it is also possible to adapt an ordinary bicycle for stationary exercise by placing it on bicycle rollers or a trainer. 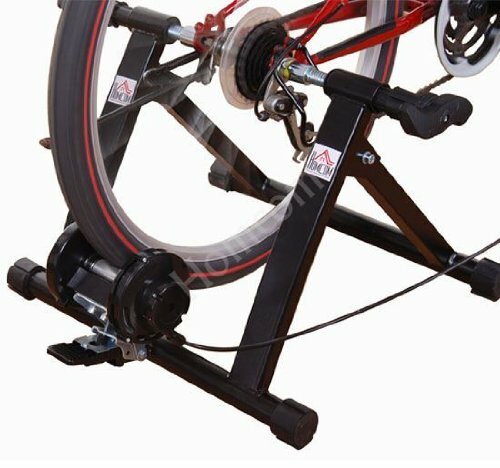 Rollers and trainers are often used by racing cyclists to warm up before racing or to train on their own machines indoors. 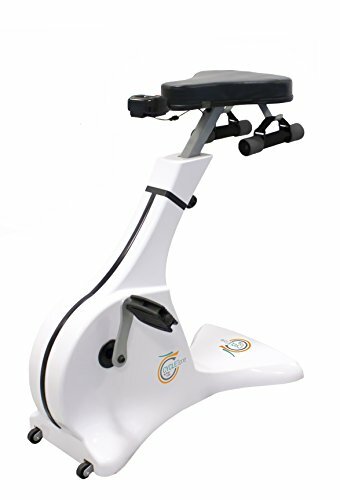 Some models of exercise bikes feature handlebars that are connected to the pedals so that the upper body can be exercised along with the lower body. 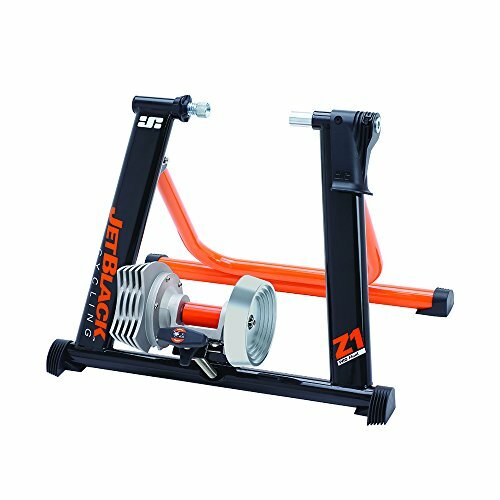 Most exercise bikes provide a mechanism for applying resistance to the pedals which increases the intensity of the exercise. Resistance mechanisms include magnets, fans, and friction mechanisms. 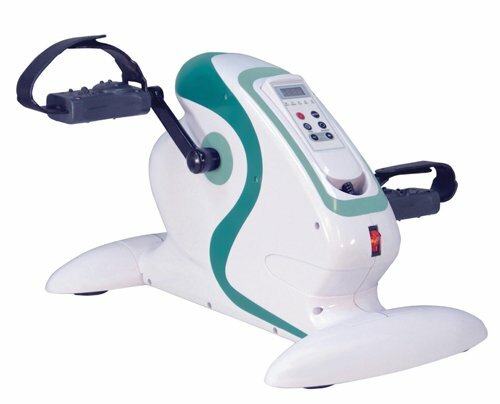 Some models allow the user to pedal backward to exercise antagonist muscles which are not exercised in forward pedaling. Exercise bicycles are typically manufactured using a crankshaft and bottom bracket, which turns a flywheel by means of a belt or chain. The bearings on these moving parts become worn with use and may require replacement. 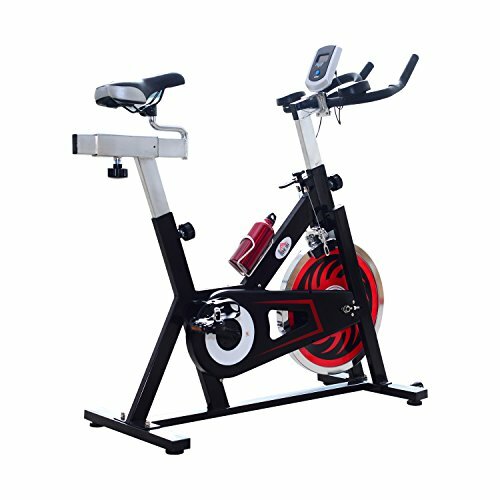 Specialised indoor bicycles manufactured using a weighted flywheel at the front are used in the indoor cycling exercises called spinning. 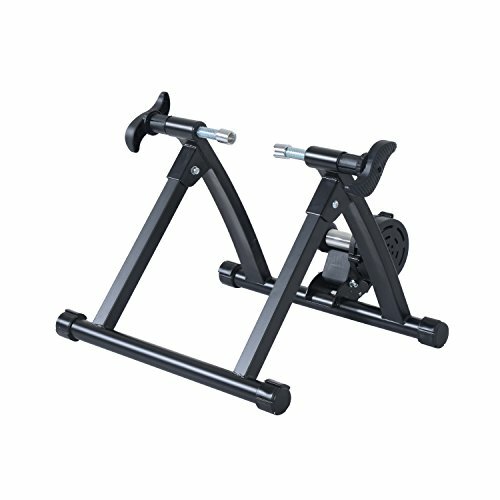 Easy access lower central axis so you can ride your home trainer comfortably, ideal for elderly people. 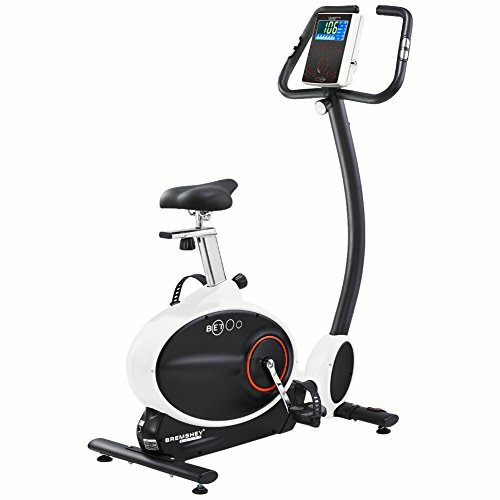 Experience safety and comfort during your cardio training, thanks to the ergonomic saddle with comfortable backrest, adjustable height and lateral support handles. Get in shape in the comfort of your own home, train strength, endurance, agility and balance. 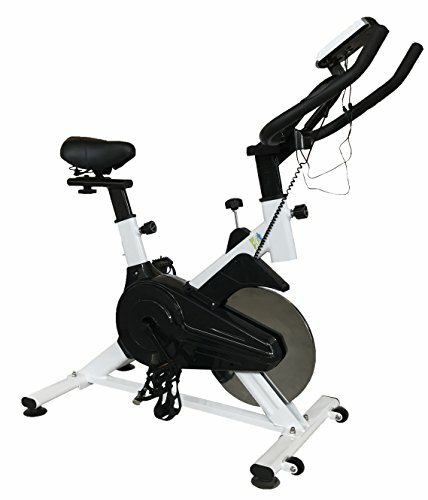 Ideal compact spin bike at a bargain price! 11KG Flywheel so your workout stays a challenge. Belt driven transmission. 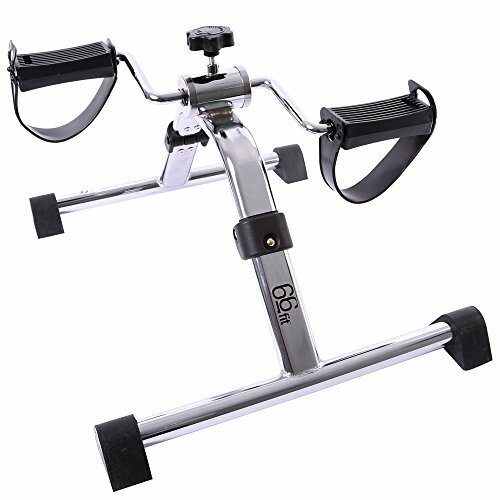 Lightweight for a spin bike at just 25kg with mobility wheels allow this machine to be moved easily. 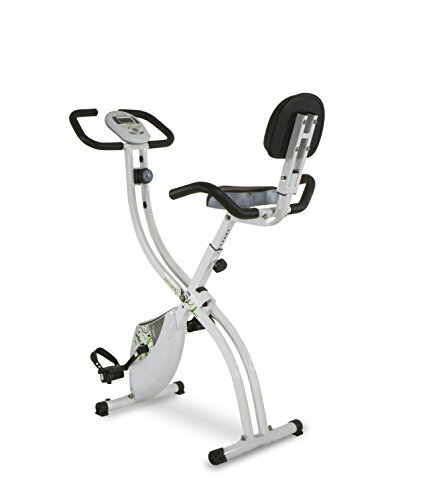 The Trainer can be folded for easy travel and storage. This ” Trainer” is one of the quietest on the market. Emergency stop system, Professional handlebar and pedals. Wheels attached for easy movement of the item. Semi Integrated quick release lever design. Easy set-up, no tools required – Patent Pending design (easier in-line lever movement that is more natural movement of the hand and wrist).